Teaser Trailer Released For ‘Star Wars: The Force Awakens’– See It Here!! Disney has finally released a teaser trailer for the long awaited 7th installment of the Stars Wars franchise now titled as ‘Star Wars: The Force Awakens’ ! Disney is keeping as much of this film secret as it can and right now there are very little details about it other than the teaser trailer and the release date of December, 18, 2015. Watch the trailer and let us know your initial thoughts about the movie. C. will enjoy a trip to London for himself and a guest, a behind-the-scenes visit to the Star Wars set, and will be fitted with a costume and filmed for a scene in Star Wars: Episode Vll. UNICEF’s current network of 14 Innovation Labs help create sustainable solutions to critical issues facing children around the world in the areas of nutrition, water, health, and education. The funds raised through Star Wars: Force for Change will impact the lives of children around the world, through projects like MobiStation, a portable, solar-powered educational kit to ensure children have access to quality learning anywhere, and Rapid FTR (Family Tracing and Reunification), a mobile phone application that helps reunite separated and unaccompanied children with their families in natural disasters. 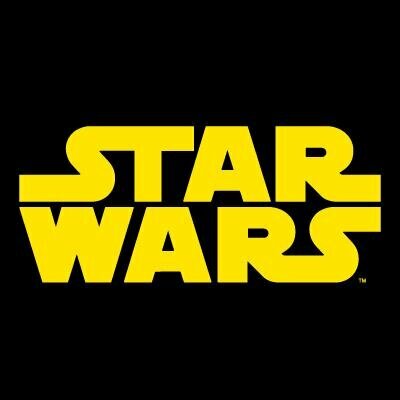 Disney committed an additional US $1 million to support the launch of Star Wars: Force for Change. Star Wars continues to inspire generations of dreamers and doers to use their creativity to accomplish great things. Star Wars and Lucasfilm were built on the belief that in uniting creativity with innovation, you can make the impossible possible. Visit StarWars.com/ForceForChange to learn more about this charitable initiative and the work of UNICEF’s Innovation Labs and programs. 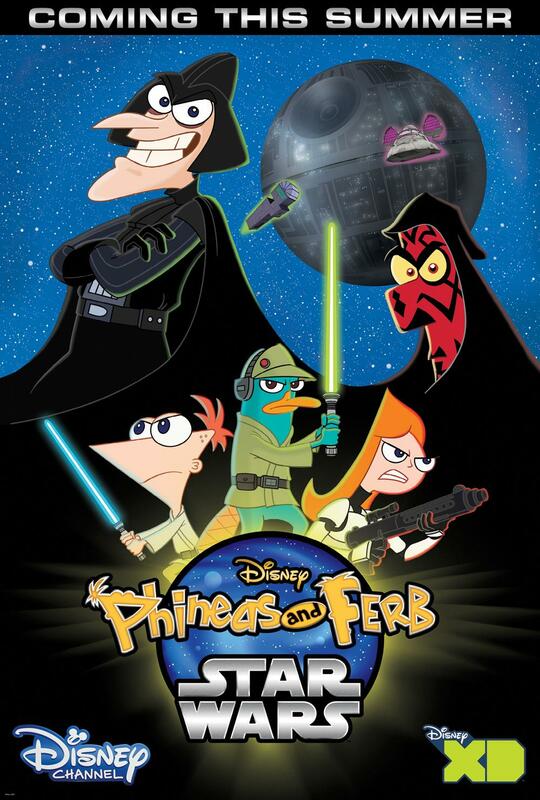 ‘Phineas and Ferb: Star Wars’ Premieres Tonight On Disney Channel! Tonight is the night many of you Disney Channel fans have been waiting for! At exactly 9 p.m., get ready to embark on a futuristic adventure in an all-new Phineas and Ferb as they meet up with iconic gang from Star Wars! Set in an alternative world, the two brothers find themselves in a predicament when plans for the Death Star fall into their laps, needing to return them quickly to the Rebellion. But Ferb accidentally gets caught in the “Sith-inator”, changing him into a Sith, thus a battle between the siblings begin. So catch this fantastic episode tonight (July 26th) at 9 p.m. only on Disney Channel! May the force be with you! Ariana Grande’s Star Wars Themed “Break Free” Lyric Video Feat. Zedd – Watch Now! While there are still a couple more weeks left until fans are able to get their hands on Ariana Grande‘s new album My Everything, she has finally released the lyric video for her one of her latest songs called “Break Free.” The song was recorded with Zedd and it will appear on her upcoming sophomore album which is set to arrive on August 25, 2014. The lyric video is Star Wars themed and we love it! Be sure to check it out for yourself by watching the lyric video below and let us know what you think by commenting! 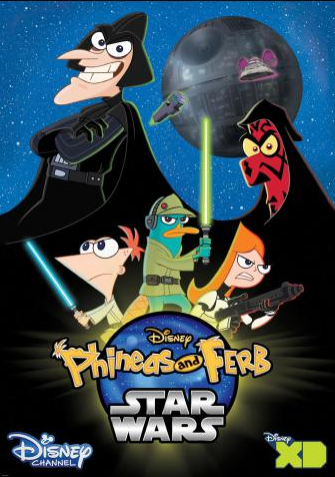 Disney’s Phineas And Ferb Star Wars – Premiere Trailer, Released! Disney channel has had quite the run with the popular cartoon show Phineas and Ferb. The show focuses mainly around two (step) brothers that have adventures during the day. They have their sister that try to tell the mom what’s going on, but the mom always misses the adventure by a hairline. At the same time, they have a pet (Platypus) that is an undercover agent that stops a goofy character (Dr. Heinz Doofenshmirtz) from taking over the tri-state area. While Phineas and Ferb is the longest running Disney Original Series, the original show has been said that it will be coming to an end soon, though there are still new episodes weekly on Disney XD. That being said, there has been crossover movies. For example, they crossed over with Marvel Entertainment to create the Phineas and Ferb: Mission Marvel movie that aired in 2013 featuring some of the Marvel characters. Well last summer, producers that Phineas and Ferb will be crossing over with Star wars to create a movie. The events will be of episode IV: “A New Hope”. The movie is supposed to air July 26 of this summer so make sure you check it out! Below is an official trailer of the movie along with a gallery of some parts of the movie! Breaking News! 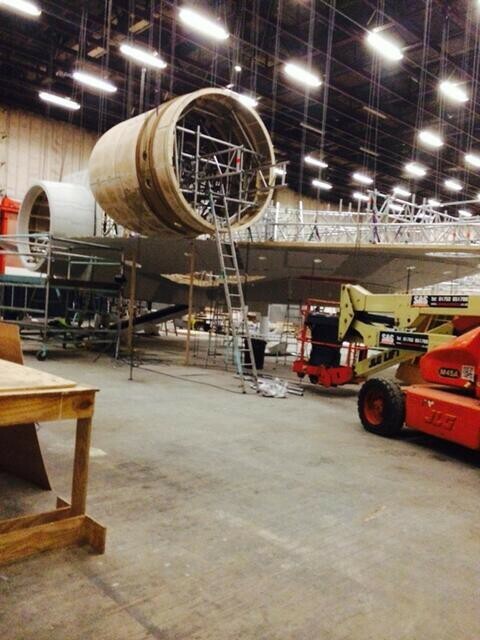 New Photos From Star Wars VII Leak! – Link Here! 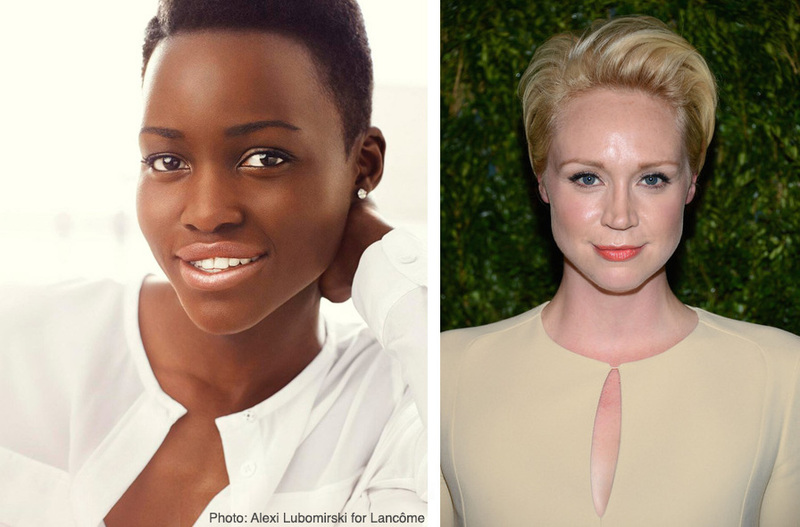 Lupita Nyong’o & Gwendoline Christie Join The Star Wars VII Cast! 12 Years A Slave star Lupita Nyong’o and Game Of Thrones star Gwendoline Christie have both officially joined the cast of Star Wars VII. Such exciting news! The new Star Wars film is set to hit theaters on December 18, 2015. We can’t wait to see the next installment of the epic series! May The Fourth Be With You TI readers! As most Star Wars fans know, today is officially Star Wars Day. 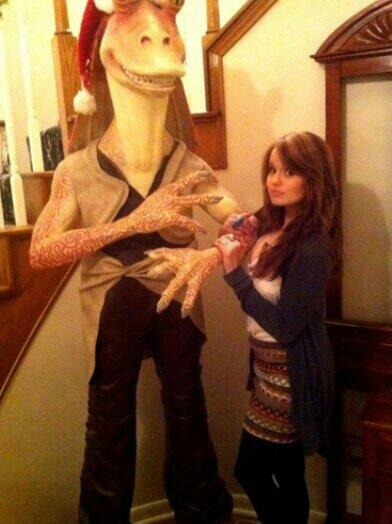 🙂 Debby Ryan took to Twitter to celebrate with a life sized statue of JarJar Binks from Star Wars Episode I. What is your favorite Star Wars film? We are looking forward to part 7 coming out next year! 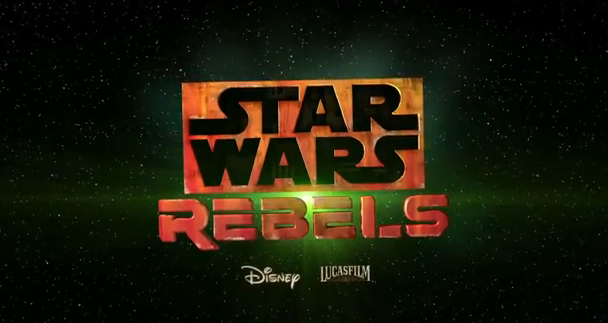 ‘Stars Wars Rebels’ Official Trailer — Watch Now! In the fall of 2014, Disney will be presenting the new animated series, Star Wars Rebels. This series takes place between Episode III and Episode IV set in a time where the Empire ruled, the galaxy covered in fear and darkness. When its grip becomes too tightening, a small band of heroes come together forming a rebellion. The Disney Channel will show an hour-long premiere while Disney XD will be the official channel in which the series will continue to air. Check out the official full trailer for the new series below with extended glimpses of action sequences, storm troopers, Jedis and more! Great news for all the Star Wars fans out there. J.J. Abrams has confirmed that the script for this new installment has been completed and that production is set to start ramping up soon. The movie is scheduled for release in 2015. Mr. Abrams confirmed this during an interview during his attendance at the NBC TCA press tour event recently. Are you guys excited that this movie is getting going and that it won’t be long before we have a new Stars Wars classic?